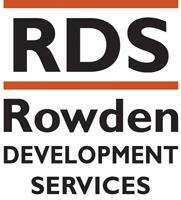 Rowden Development Services Ltd - Builder, Driveways/Patios/Paths based in Whitstable, Kent. Rowden Development Services (RDS), was formed early in 2015. We are a Whitstable based family that has been in the building trade for two generations and bringing in the third generation. We pride ourselves on being competitively priced and go the extra mile to ensure our customers are happy and willing to recommend us to their family and friends. Whilst we cannot undertake every aspect of the building trade, I have built up contacts for most trades over the years that are tried and trusted to keep up our good name and reputation.